Besides a home, one of the most important financial investments you will make in your life is your vehicle. Selling your current vehicle to the dealership is a great way to save money on your new car and lower the amount you need to finance. Car dealerships are always looking for additional inventory to sell in the future. Not only is this a convenient way to get rid of your old car, but there are other numerous financial advantages to trading in your vehicle as well. If you live in a state with high sales tax, you have to spend a lot of money just to purchase a vehicle. In Missouri, the sales tax rate is moderate at around eight percent. That means if you buy a vehicle for $20,000, you will be paying sales tax of $1,600. However, when you trade-in a vehicle, you only pay the sales tax on the difference between the purchase price of the new vehicle and the value of the trade-in. If you are worried about the total sales tax that you will owe on your vehicle, this is one of the best ways to save in this area. The majority of people who purchase a vehicle take out an auto loan to do so. Getting a car loan is a great way to take advantage of the different options in the market today. If you are looking for the right loan for you, you may be disappointed with some of the options out there. 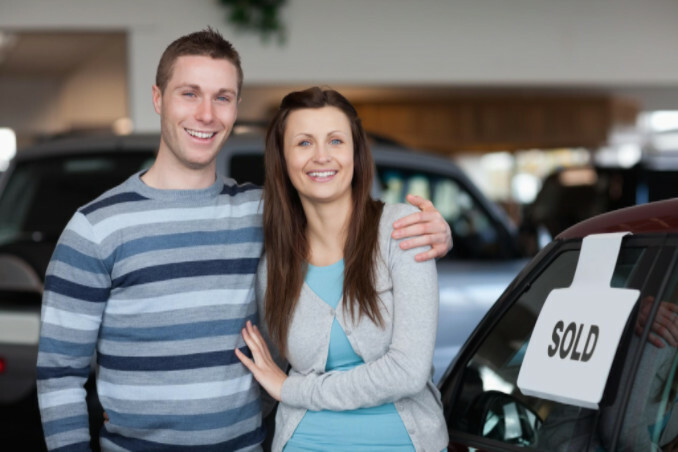 At most car dealerships, there are more financing options when you trade-in a vehicle. Not only that, but the total amount that you have to finance is lower when you trade-in a vehicle. This is one of the best ways to increase your options in this area. With interest rates so low, now is a great time to borrow money to purchase a vehicle. Selling a car is a huge hassle. Even with all of the data out there for customers to look at, many people will still try to purchase your car from you for well below market value. It may take dozens of hours of negotiation and time spent listing your vehicle for sale in order for you to sell your vehicle. If you decide to trade in your vehicle during the purchase process instead, you will save both time and money. This is a great option for people who do not want to deal with the hassle of privately selling their vehicle. Car dealers know exactly how much a vehicle is worth on the market. When buying a new vehicle, there are ways you can get a lower purchase price than what is typically advertised. Many car dealers are willing to negotiate with buyers in order to make a sale. When you trade-in a vehicle, car dealers will usually give a substantial discount if you purchase a vehicle from them. Saving money while buying a new car is never easy, but these financial benefits of trading in your vehicle can make it possible. Interested in trading in your vehicle? Visit Bryant Motors in Sedalia, MO. We will buy your old vehicle even if you don’t buy a new car from us. We will even offer you a check right on the spot if you decide to sell us your car. Contact us to get a courtesy, hassle-free trade-in offer in a minute or less. Visit Consumer Reports for more tips on getting the most value from your vehicle trade-in and a few of the disadvantages of trading in your car.